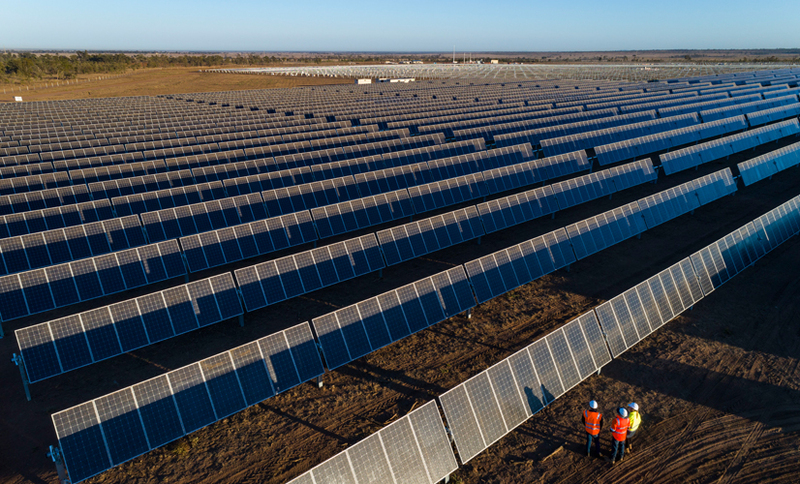 Adani’s new solar project, Rugby Run, to be located near the town of Moranbah, is in the advanced stages of construction. In phase one, Rugby Run Solar Farm will supply 65MW of renewable power and has the capacity to expand up to 170MW. More than 247,000 solar panels will be installed at the farm in phase 1. The farm will generate 185,000 MWh of power each year or the equivalent to power about 23,000 homes each year. A construction crew of more than 150 are on the 669 hectares site, building the farm, which will be operational late 2018. Adani has sold 80% of the energy generated through a power purchase agreement. The balance 20% will be sold on the spot market. Adani are also building a second solar project 10km from Whyalla in South Australia, which is located at a vacant site more than 390 hectares in size. Development approval was granted in September 2017, with pre-construction approval granted in August 2018. Adani Renewables Australia is currently in commercial negotiations for power purchase agreements. Whyalla Solar Farm will deliver up to 140MW of renewable power and generate up to 300,000MWh of power each year. The site will feature more than 470,000 solar panels, will power more than 60,000 homes each year, and create more than 200 jobs at peak construction.